A 1980s office block which has been the workplace for thousands of Peterborough residents will be protected for generations to come after it was given listed status. The old Pearl Assurance building in Lynch Wood joins Peterborough Cathedral, The Guild Hall and Peterborough Museum as having listed status. The office block has been given Grade II listed status. It was built in 1986, and contains three square blocks of open plan offices, each three storeys high, with an open –sided atrium, an attached computer hall, a 600-seater restaurant and training centre and two decks of underground parking. Along with the building itself, a war memorial in a courtyard at the complex has been given Grade II* listed status. The listed status means alterations cannot be made to the appearance of the buildings without special permission from Peterborough City Council. The application to have the building and memorial listed was made by the C20 Society, which seeks to safeguard architecture in Britain dating from after 1914. Clare Price, C20’s Head of Casework, said: “We are delighted with this trio of successes, particularly for a post modernist complex, a style hich has been much maligned in the past but which is now gaining the recognition it deserves.” As is characteristic of Post-Modern works, the architects of the Pearl Centre, Chapman, Taylor Partners, drew inspiration from previous building traditions and styles, including Romanesque and Italianate architecture and English medieval timber-framed construction, the decorative elements echoing Moorish traditions and the work of Charles Rennie Mackintosh. The memorial itself was relocated from the company’s London offices, which commemorates the lives of the 659 employees who died during the two world wars. The stunning gardens on the site, which include lakes, a memorial garden, entrance courtyard, physic garden, parterre garden, pyramid, wildflower meadow and ziggurat have also been placed on the designation register. These features were not just ornamental: the lake was stocked with coarse fish and used for fishing, and the platform of the pyramid was intended for use as a boules court or events space. More than 75,000 trees and shrubs of 500 varieties were planted. 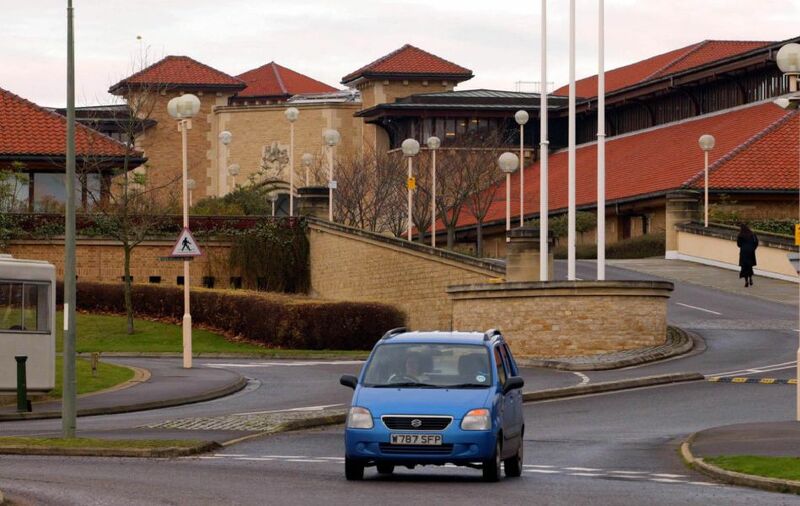 At the time that C20 put forward the listing applications, there had been a proposal for a new building on the site of the current car park with plans to move the car park to the site of the landscaped maze, requiring an access road to cut through the landscape. The application was withdrawn following many objections, but the listing assessment went ahead. Earlier this year another office block - the former HQ of British Sugar in Woodston - was also given Grade II listed status.